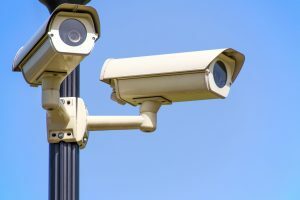 The connection between physical security and cybersecurity may be more prevalent than many realize. These days, much of the buzz surrounding security centers around cybersecurity. It makes sense considering how rapidly data has become integral to our daily lives. For a business, keeping customer data safe is essential—and for a government entity, keeping data out of peering eyes could be a matter of national security. Focus on cybersecurity isn’t misplaced, though we must remember that physical security measures still have their importance. Beyond that, it’s important to understand the space between the two, how they work together, and what the implications of that are for security experts. Traditionally, physical security has been intuitive and simple. You place a key in a lock and are granted access. Times are changing, though, and many are switching over to access control based systems wherein a user is granted access based on a keycard, having a PIN number, a facial scan, or their vehicle’s license plate. As a result, many of these systems are heavily data-reliant as well, storing important information that one wouldn’t want put at jeopardy. While we tend to think of cybersecurity as an outside attack made remotely, the truth is that it’s far easier to compromise someone’s data when you have access to their hardware as well. If someone is able to break into a data center or server room, the amount they can do increases exponentially, which makes physically securing those areas even more important. Being proactive and installing access control systems, vehicle inspection technology, and more can be the first line of defense against a cybersecurity threat. Much of our data is kept on small, personal devices these days. Something like your laptop or your phone can actually be huge vulnerabilities in terms of something like a company’s private data. While employees are responsible for keeping their personal devices safe at home, improving physical security is a good way to protect those valuable devices during the work day, or even keeping laptop computers left in the office away from any wrongdoers. This entry was posted on Friday, July 20th, 2018 at 9:50 am. Both comments and pings are currently closed.